Dr. Charnvit Kasetsiri is one of the leading historians in Thailand and Southeast Asia. His achievement in the study of Thai history, especially his research into Ayutthaya, is outstanding. 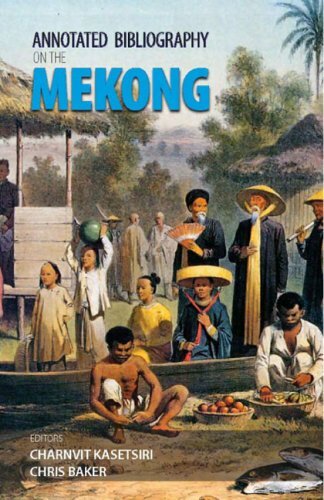 His work on Thai modern history is also significant. He has striven to apply his academic work both to the educational sphere and to broaden public awareness, and therefore he is highly appraised by the international community. Dr. Charnvit　Kasetsiri is one of the leading historians not only of Thailand but also of Southeast Asia. His outstanding achievements in the field of Thai history, especially the history of Ayutthaya, and also his researches into modern Thai history, have made a significant public impact through his teaching, and have won international acclaim. After graduating from the Faculty of Political Science of Thammasat University in Thailand, Dr. Charnvit studied at Cornell University in the US and received a Ph.D. in 1972. In the following year, he started teaching at Thammasat. Ever since, while undertaking a series of demanding positions as a professor, the Dean of the Faculty of Liberal Arts and the President of Thammasat University, he has never slackened in his research, and worked hard to make the best use of the fruits of his research for education and to spread awareness of this in Thai society. Especially significant was his pioneering role to establish Southeast Asian Studies as an academic discipline in the Faculty of Liberal Arts at Thammasat, as the first one of its kind in Thailand. He has been also instrumental in producing high quality textbooks and specialized books for education and academic work in his capacity as the Secretary of the Foundation for the Promotion of Social Sciences and Humanities Textbooks Project. Moreover, he was invited to work at Kyoto University, the University of California, Cornell University and the University of Hawaii, and thus has been playing an active part as an international scholar. The focus of Dr. Charnvit's study is the history of Ayutthaya, but it extends also to the modern history of Thailand. His books, The Rise of Ayutthaya: A History of Siam in the Fourteenth and Fifteenth Centuries and Ayutthaya: History and Politics redefined the status of Ayutthaya, as an international city, in the wider context of Southeast Asian history. This work broke new ground for research into the history of Ayutthaya. He has published a great number of other books. These provided the foundation for a collective volume, Discovering Ayutthaya for which he secured contribution from a number of Thai scholars, and　which was subsequently translated into Japanese and English. It has had a great many readers. His academic contribution to modern history, including A Political History of Thailand 1932-1957, has been also considerable. His readiness to speak out and express his opinions about the problems in modern Thai society has also earned him notable influence as a social commentator. Dr. Charnvit　Kasetsiri has achieved remarkable success, not only in his study of　Ayutthaya history, but also in his comprehensive research into Southeast Asian history and modern Thai history,　embracing political, economic, and social perspectives. He has taken this achievement even further by disseminating　his work　in the educational sphere, and has helped develop international cooperation among the Thai historians. For the invaluable service he has rendered, Dr. Charnvit is truly worthy of the Academic Prize of the Fukuoka Prize. His family in Banpong, Ratchaburi, Thailand in 1954 when he was 13. He became a Buddhist monk for one month in 1976 when he was 35. Leading and lecturing school students through ruins of the old capital of Ayutthaya, Thailand, early 1980s.